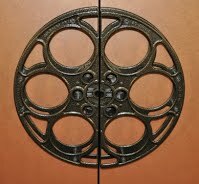 Goldberg Brothers can custom design and manufacturer industrial-quality doors for your theater or office, complete with our film-reel themed port windows and genuine film reel door pulls built right in. Each port window is made with sturdy, tempered glass and either a wood frame finished to match the door or a powder-coated metal frame. We laser-etch the glass with one of several elegant, film reel designs. Door pulls come in a variety of finishes to match your theater’s decor. 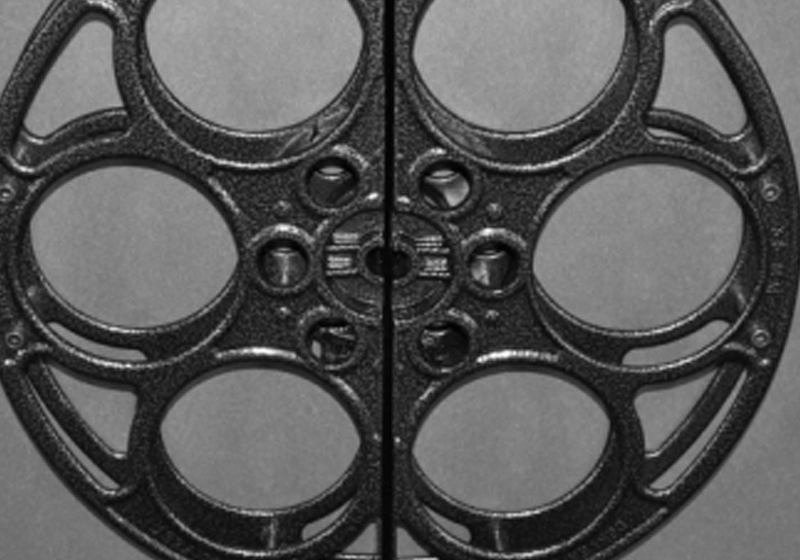 Do-it-yourself with our film reel door pulls and port windows, sold separately. 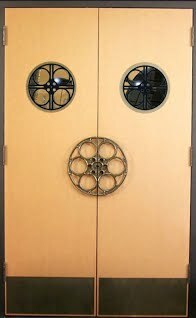 Set the mood for your theater audience as they enter your auditorium with a set of our film reel door pulls. Each of these elegant handles begins as a genuine Goldberg Brothers 35mm film reel. You can choose from a variety of finishes including Silver, Silver Vein, Chrome, Gold Vein, Black, 24k Gold, and Nickel Plated. Our door port windows come in a variety of designs and finishes.